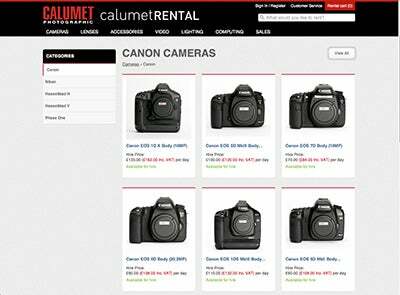 Calumet has designed a new website that’s dedicated to its rental service and rental customers. The new site (www.calumetrental.co.uk) splits its rental services into seven categories and has been produced to engage customers comments, insights and commercial needs. Browitt added: “It obviously a good idea to test drive latest equipment before investing – plus it doesn’t make a lot of sense to buy say a tilt and shift lens costing £1866 if you only need it once a quarter. It’s far more cost effective to rent it for £36 (plus damage waiver and vat) a day from us.